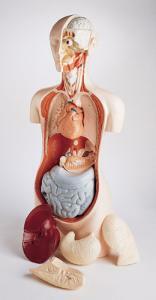 This unbreakable vinyl reproduction shows 10 complete body systems in full-scale proportion. Students can examine the nervous, circulatory, respiratory, digestive, urinary, endocrine, lymphoid, integumentary, muscular, and skeletal systems with this model’s 10 detachable parts and contrasting colors. 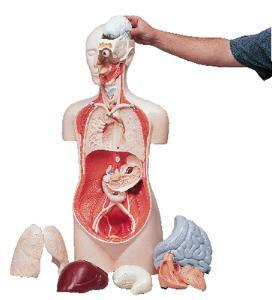 A 19-page study guide reinforces hands-on learning by explaining systems' physiological functions.